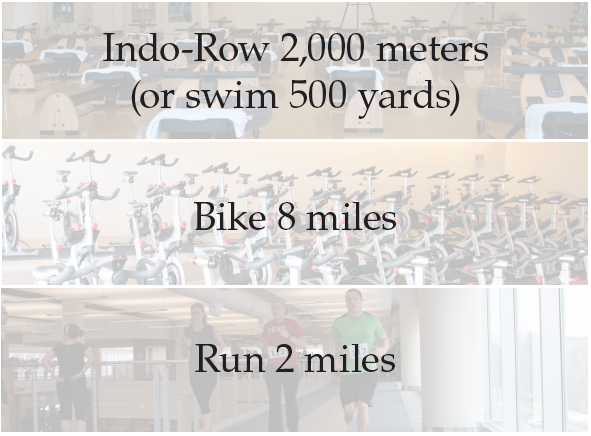 This month we are featuring a weekend warrior challenge that will consist of a mini triathlon to do on your own or with a friend. This workout will likely take more than an hour, so the weekend would be a good time to do this. Remember that a warm-up and cool down are essential with each workout.